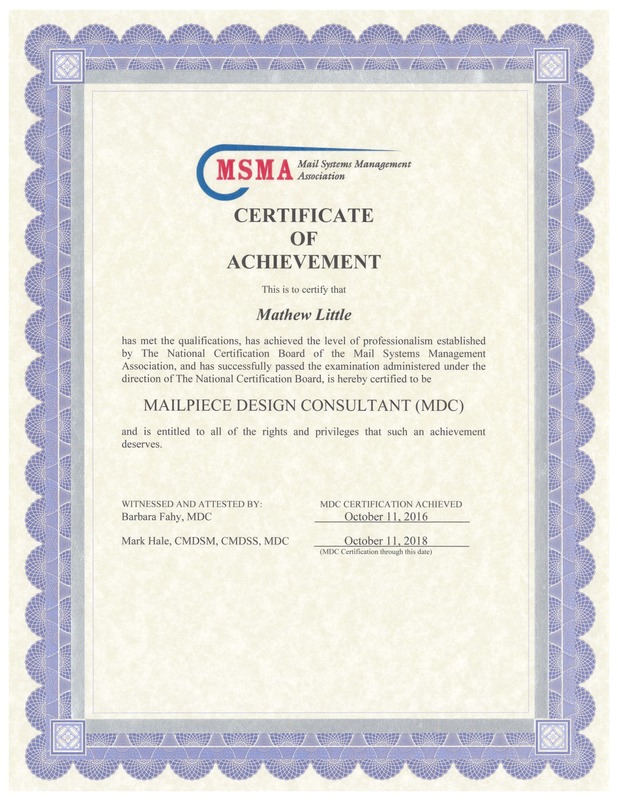 AccuZIP Customer Care Specialist Attempts Joint Certification | Company Newsroom of AccuZIP, Inc.
ATASCADERO, CA, October 14, 2016	(Newswire.com) - AccuZIP is very proud to announce that Customer Care Specialist Mathew Little, was recently certified as a Mailpiece Design Consultant (MDC) by the United States Postal Service®. Mathew took his certification class and exam through the San Diego PCC in an intense joint certification workshop put on by the PCC and MSMA. The conference was conducted by a nationally recognized industry expert in Document Handling, Addressing, Mail Center Design and Mail Processing Systems in conjunction with the assistance of USPS® officials. Mathew also sat for his Mailpiece Design Professional exam (MDP) and is awaiting those results from the USPS National Center for Employee Development. 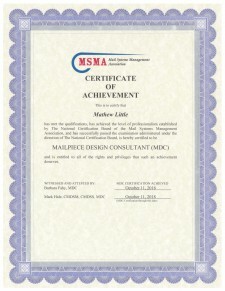 Mathew was awarded a Certificate of Achievement from the MSMA (Mail Systems Management Association) demonstrating that he has met the qualifications and achieved the level of professionalism established by The National Certification Board of the Mail Systems Management Association as well as successfully passing the examination administered under the direction of The National Certification Board. These certifications and exams combined in-depth information on understanding Automation Mail as well as a thorough review of other mail types and classes along with extra services. The information presented explored the latest rule changes along with basic and advanced requirements. The conference gave an explanation of the “why” along with the rules to give a better understanding of mail and help convey how to avoid common mistakes and pitfalls. 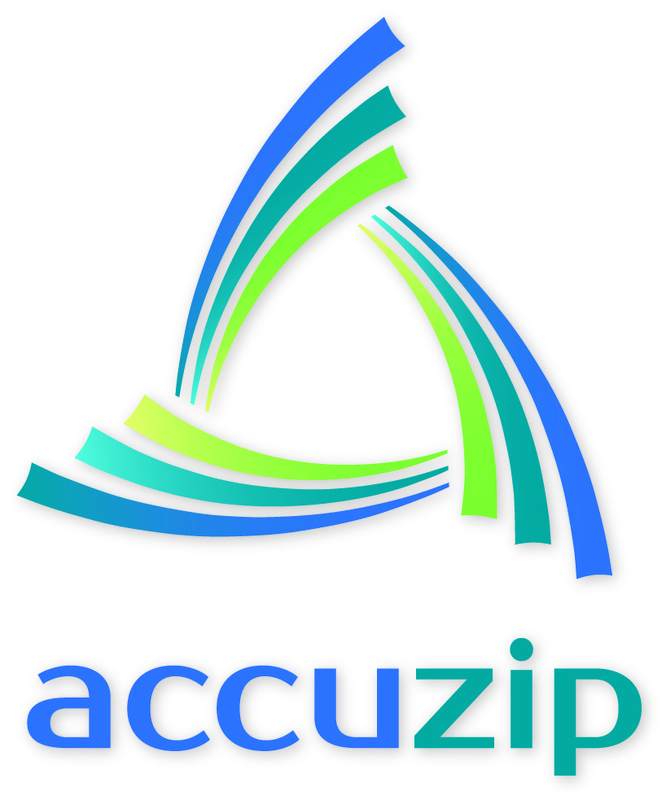 This knowledge will allow Mathew to share his insight and knowledge with AccuZIP customer partners and provide tips to improve the performance of mailings.